We are no longer making Paraffin candles. 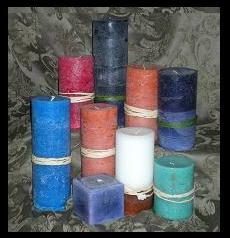 We will soon be adding Palm wax pillars and votives to our line. They are natural and have a beautiful star burst pattern on the exterior. Check back often for these new items. 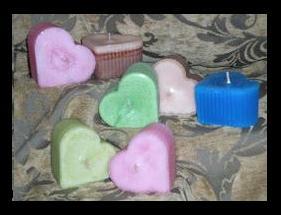 Paraffin Heart votive's come in Coconut Lime, Vanilla, Pumpkin Spice, Cinnamon, and sugar cookie. 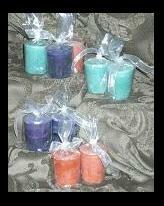 Paraffin votive's come in Coconut Lime, Vanilla, Pumpkin Spice, Cinnamon, and sugar cookie.